Every pool owner knows how important it is to keep their pool heated. This problem can be solved by merely installing an electric heater. However, this could mean higher electricity bills and maintenance costs. Nowadays, being able to make things sustainable through technology is the trend. Thankfully, these innovations are already available for pool covers. That means you will not have to rely on electric heaters alone! Sun2Solar now offers technology that will provide you with these solutions. Sun2Solar offers an alternative solution to your pool heating needs! Its latest line is the 800 series solar cover does not rely on fossil fuel. Fossil fuels are usually used in the electric generation of heat. These were the old ways. But now, Sun2Solar has a different technology which proves to be active and sustainable. Each Sun2Solar cover is made of a film of thousands of tiny bubbles. 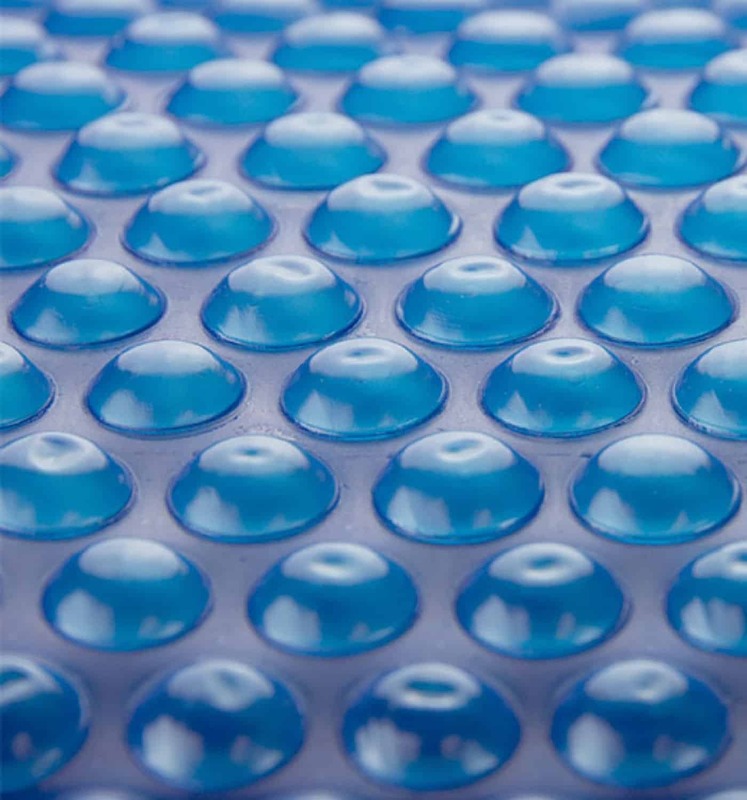 When these small bubbles are pieced together, they form a beautiful shade of blue. It can almost be mistaken as your pool's surface! Only that it's supposed to protect your pool from losing heat. If you are the picky type of person who wants more neutral and natural tones, then this is perfect for you. When the sun’s rays hit the blue covers, the heat is absorbed and used to warm your pool. The tiny bubbles inside the air films will do just the trick. These bubbles will trap the air inside your pool, not allowing the heat to dissipate. The cover also minimizes water evaporation. Research shows that pools normally see a ¼ - ½ inch of water loss per day due to evaporation. The Sun2Solar 800 Series allows just a fraction of that water loss. This is possible thanks to the film made of tiny bubbles of air that runs through the surface of the 800series. Using this pool cover will make sure you retain 95 percent of your pool water, which means only 5 percent of it evaporates. So much for water savings, right? You can also jump right in without having to heat your pool! Yes, it may be something you've never seen before. But you can safely dive right in your pool as soon as the covers are taken off. 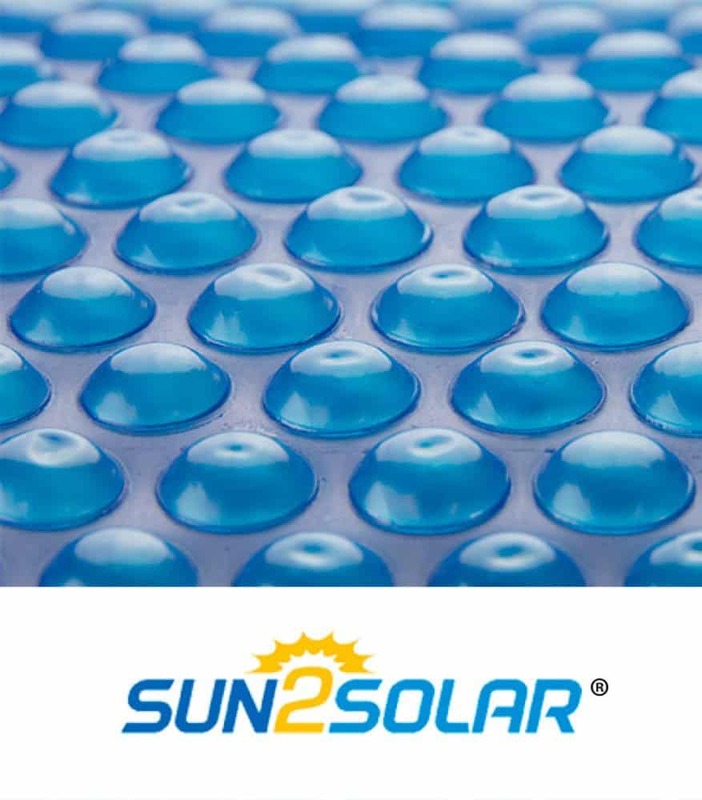 The Sun2Solar pool cover proves that it is a product that does not need to burn fuel to heat an entire pool. It only needs the film of bubbles to keep the pool warmed and have you swimming in cozy, warm waters. It is also relatively easy to place and remove mainly because it is made of lightweight and durable materials. Aside from heating the pool, cleaning it proves to be as easy as it can be! Using the pool cover helps lessen the need to remove leaves and debris since the cover will prevent these from getting in contact with your pool. We also understand that not everyone has or prefer a rectangular pool. Some pools are circular, and quite a number of pools are custom shaped. The 800 Series pool cover can be fitted to any shape of a swimming pool! Since it is lightweight, you just have to outline the shape of your pool and have it cut! Don't worry about the manufacturer's warranty if you do this. They will totally understand what you're trying to do. Rest assured that your warranty will still be acknowledged. The Sun2Solar 1200 series is just like the 800 series. The only thing that separates these two products would be the thickness. The thicker the pool cover is, the warmer the pool will be. So if you prefer a warmer pool, then you should Choose the Sun2Solar 1200 series. Otherwise, the 800 series will suit you just fine. The difference in the thickness of the tiny air bubble film allows greater heat absorption. The thicker the film is, the more heat it can store. When the film has more warmth to absorb, the more it can be used to warm your pool. The thickness of the 1200 series is the same for both color variations. However, the gray variant is more transparent so it allows more of the light and heat to pass through. This means it absorbs more warmth for the pool than the blue variant. The Sun2Solar 1600 has the thickest air bubble film among the lot. Since it is the thickest, it can absorb and transfer more heat. Choose this variant if you opt for a hot pool to swim in. The thickness of the 1600 series is the same for both its color variations. The gray variation, due to its transparency, allows more sunlight to pass through. Hence, it can absorb more heat which leads to a warmer pool than the blue variant. If you are looking for an alternative means to keep your pool warm, this pool cover is for you! Aside from keeping your pool warm, it also shields your pool from unwanted debris. It can surely keep your swimming pool healthy, clean, and warm. Just what you needed! This is also an excellent choice if you have an irregularly-shaped pool. You just need to know the dimensions of your pool before you cut to make sure your pool is sufficiently covered. The Sun2Solar pool cover may harden over time, but you can rest assured it won't get too bulky. You can still easily put the pool covers on and off. 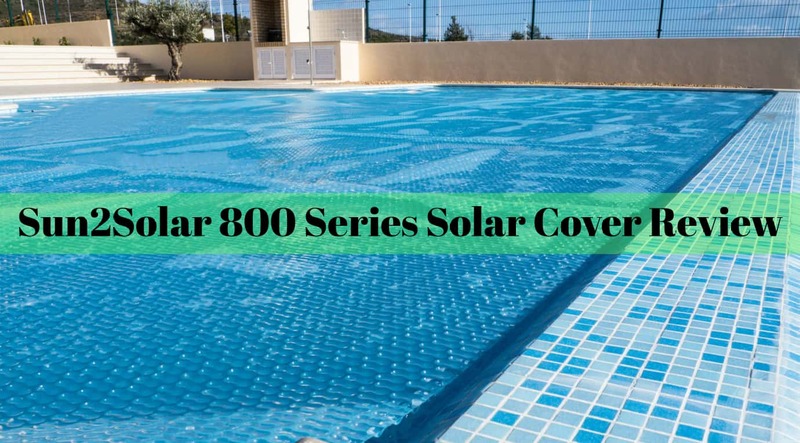 Its affordable price and excellent performance, we truly recommend this solar pool cover!